Snapchat is a smartphone app that allows users to post videos that remain on the app for a specific time. When you make a Snapchat account, you can immediately start posting videos that your friends can view. 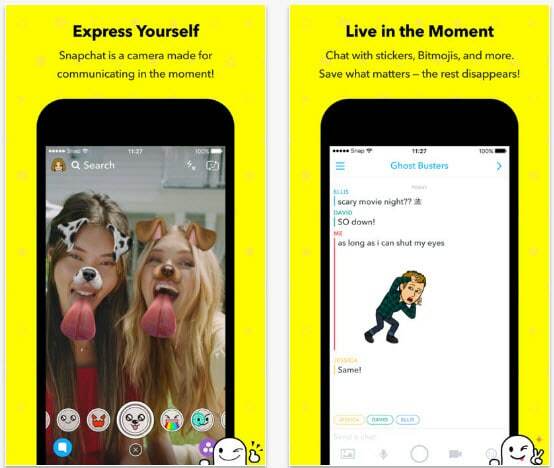 Users can create Snapchat “stories,” where they show off their day to friends through different videos and pictures. Part2: How Does Snapchat Work? Part3: How to Create a Snapchat Account? Part4: How to Permanently Delete a Snapchat Account? Part 1: What is Snapchat? Using Snapchat does not require too much technical knowledge. All you need is a relatively new smartphone that runs iOS or Android, and you can download the app from the relevant store. It is available on the Apple and Play stores, and the application is free. When you complete the Snapchat sign up process, you are all set to start taking pictures and videos through the app. The reason why Snapchat is so popular is because people can have a lot of fun with the different features on the app. You can set specific filters for your photos and videos, which allows you to show off cool effects when you are making posts. You can follow your friends by finding their Snapchat, and you can even follow celebrity accounts that allow public access. The quality of your photos and videos will depend on your smartphone. Sometimes you may find that a picture or video looks good enough without any filters. And in other instances, you may end up adding a filter or some text to the picture to make it more personal and interesting. Part 2: How Does Snapchat Work? The process of taking pictures and photos on Snapchat is very easy. The application will indicate that you can now record a video or snap a picture, add whatever filters or text that you want, and send it along so that it is viewable by your friends. You can also set how long you want the Snapchat post to last, say a minute or a few hours. And you can even send snaps to specific friends or acquaintances. For instance, you may want to send some photos or videos to your very close friends, and you can choose their Snapchat accounts when you are ready to send off the story that you have just created. One thing to remember about an application such as Snapchat is that you are going to get periodic updates. Sometimes the updates are small, and you may not even notice the changes. But there are instances where you will find that your use of the application is a lot different compared to the past. Then, you will need to spend some time getting used to the application and how it works. But such major changes do not happen often, and are only an issue every couple of years. Part 3: How to Create a Snapchat Account? Ready to get started with Snapchat? Creating an account is a piece of cake. What you will do is download the Snapchat app from your phone’s store. Say you are on an iPhone – you will use the App Store to get Snapchat. There is no charge, as the app is free. Step 1: When the app has finished installing, you will open it up. Now you can go to the Snapchat create account section and get started. Step 2: Tap on the sign up tab, and then enter your name to sign up. You will have to put in your birthday, select a username, create a password, and enter your email address. There is an email verification you must complete before your account is operational, but then you are all set. There are a few different ways that you can add users to your Snapchat profile. They can tell you their Snapchat handle, and you can add them that way. Or you can search their name to see if a Snapchat handle pops up, and you can add them through the app. Or you can use their Snapcode, which is accessed through your phone’s camera. That is a great feature for adding people to Snapchat when you meet them at coffee shops, parties, at school or at another type of gathering. Part 4: How to Permanently Delete a Snapchat Account? Even though Snapchat is a fantastic app, it may not be for everyone. If you are not happy with how much time you spend on the app, or you have just migrated to some other social media app, you can delete your account. That will ensure no one can find your old Snapchat handle, or any posts that may still be up on it. Wondering how to delete Snapchat account? What you will need to do is access a web browser, and then you can delete Snapchat account permanently. Step 1: Visit the website and enter your username and password. You will be asked to verify that you are a person, and then you can log into your account. Step 2: When you are logged into your account, you may click on the tab that says “delete my account.” It is usually near the bottom of the page. The process is complete. Yes, Snapchat will keep your data for an extra 30 days, so if you change your mind you can go back and restore your account. When the 30 days are up, your account is deleted and you are completely free of Snapchat. If you ever want to go back to the application after 30 days, you may sign up for a new account using your email address. You will probably need to get a new Snapchat handle, if someone is using the one that you had before. But if you had a very unique handle, then you will probably be able to use it again. Snapchat is one of the most popular social media applications on the planet. It is used by millions of people each day to send photos, share videos and talk with friends. The app is designed to let you put out photos and videos for a limited time. That is what makes Snapchat different from a service like Instagram, where your photos and videos are up on your profile indefinitely.